I had a taste for grilled onions last Sunday. 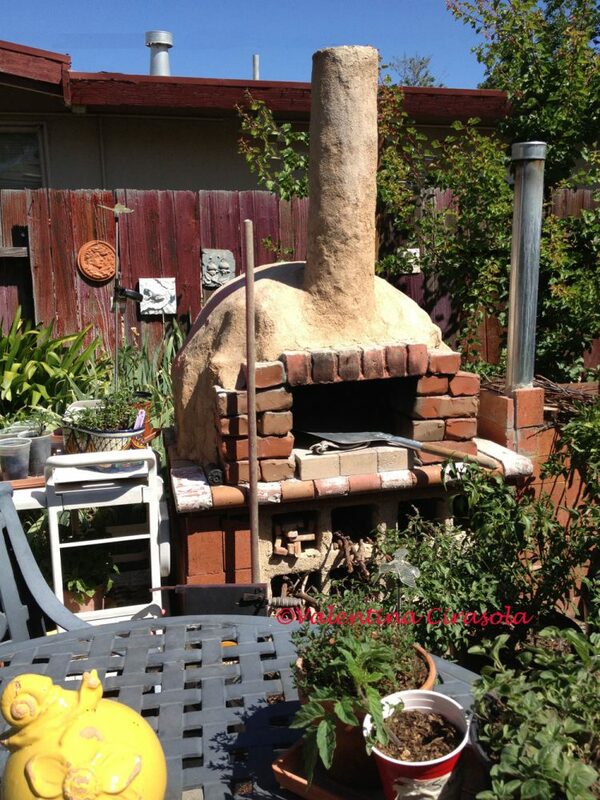 I was harvesting the produce in my small orchard, I thought it would be perfect to grill some of them while the pizza was cooking in the wood-burning brick oven in my garden. 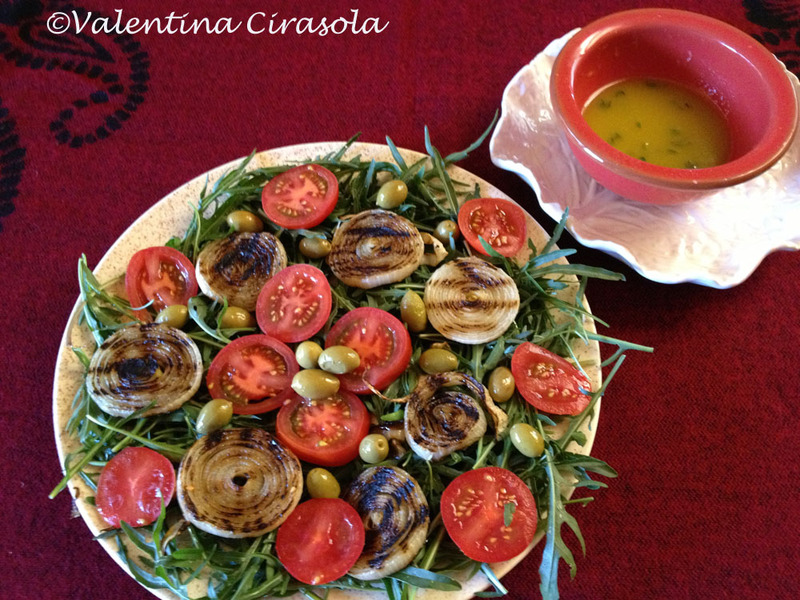 Grilled onions made into a salad sounded perfect, light and powerful for the sunny weather. (Click on each photo to view it larger). Onion is considered the truffle of the poor, it is a good antibiotic, a natural diuretic, a natural warm up as it produces warmth in the body and contains as many medicinal substances as a whole apothecary could have. It helps against cardiovascular diseases and we all like food believed to be aphrodisiac. Onion and white wine make a perfect potion of positive effect against cold, fever and cough. Onions fed the builders of the Pyramids, the troops of Alexander the Great and Emperor Nero constantly munched on leeks to clear his throat. I believe if we take onions away from the kitchen there is no gastronomic art. This was my roasted onion salad last Sunday. 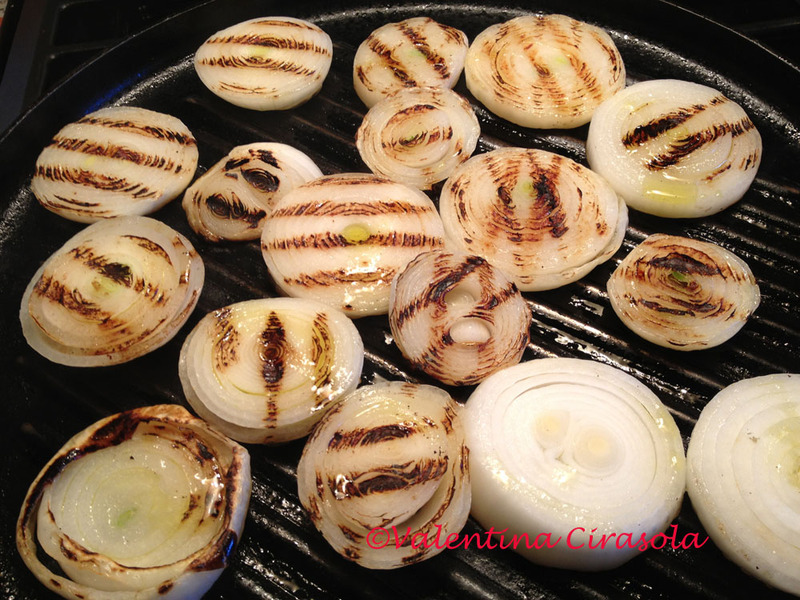 On the stove, I grilled the onions first with only olive oil and marine salt. When grill marks formed on both sides, I covered the serving plate with arugula (from my orchard). On top, I laid circles of roasted onions, round slices of tomatoes from my orchard (we want to keep the same shapes for visual effect), I added a few green olives and a citronette emulsion made of lemons from my orchard, olive oil, salt, pepper, and thyme. I said “from my orchard” many times, that’s because I am very proud of being a city girl and know how to grow my own food. To me, it’s about being in control of what I eat. I cannot make tasty and healthy food any more simple than this. There was a time when my parents would say “I will leave you on bread and onion!” when my brothers and I did something they didn’t like. With all the good proprieties onions carry, it would have been a nice punishment, but somehow it did not sound so good then.